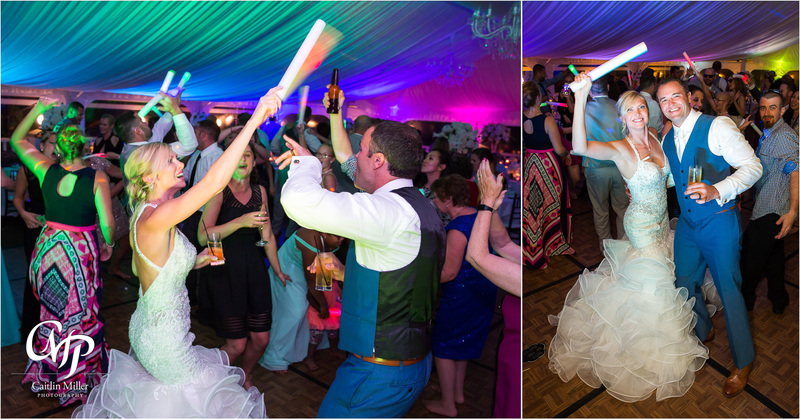 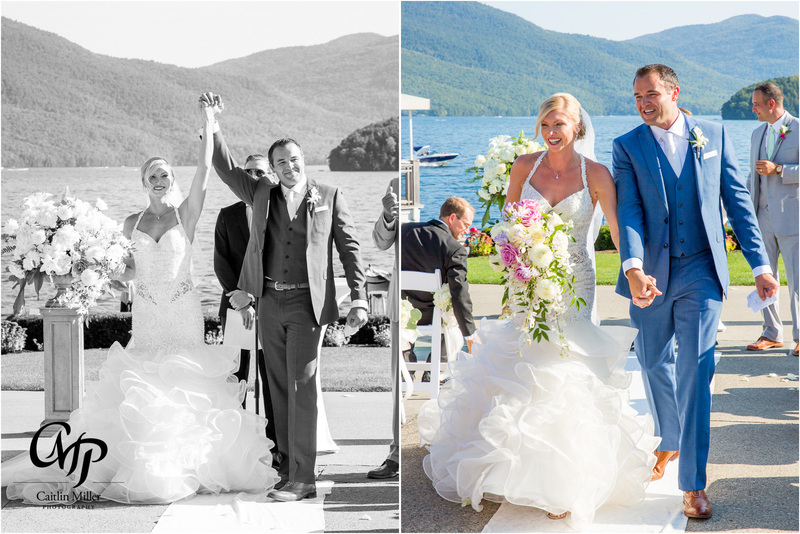 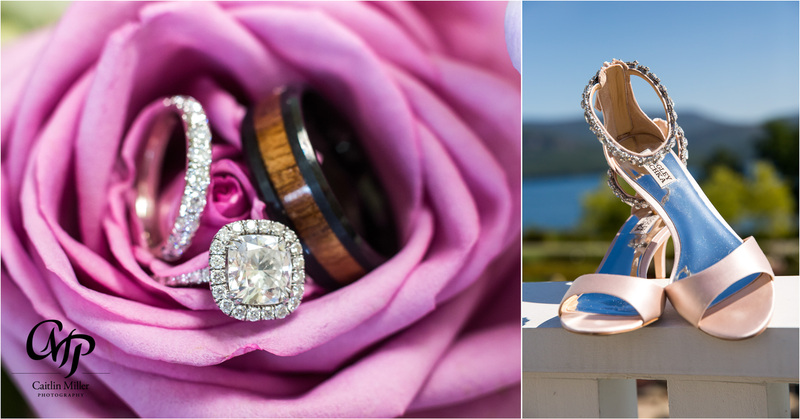 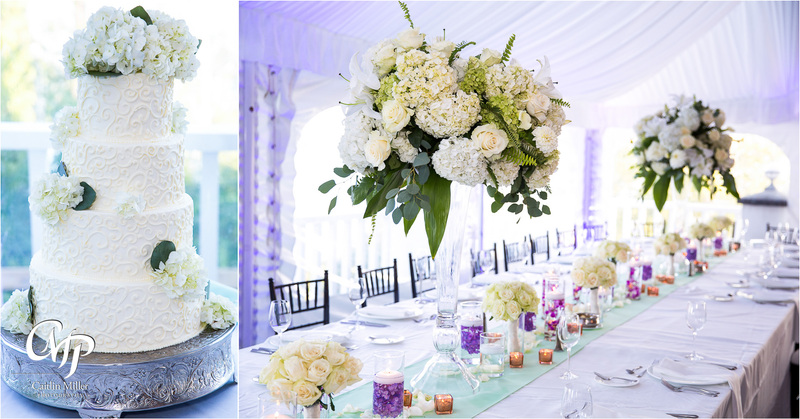 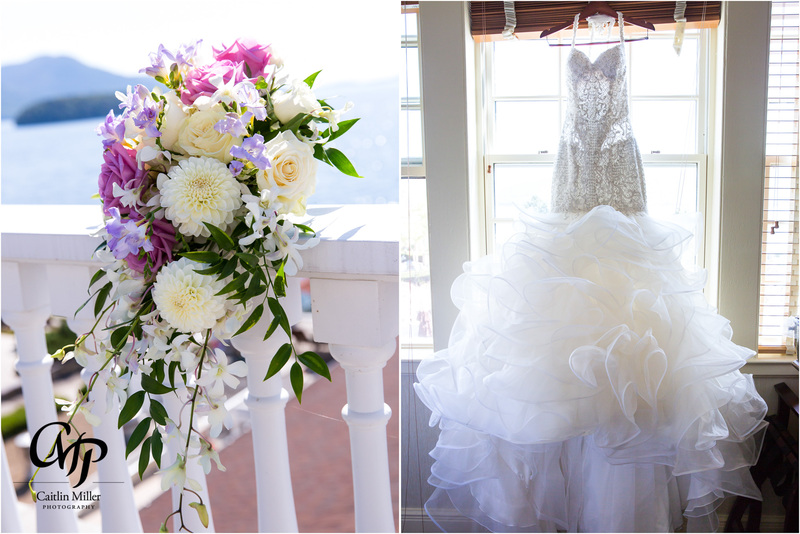 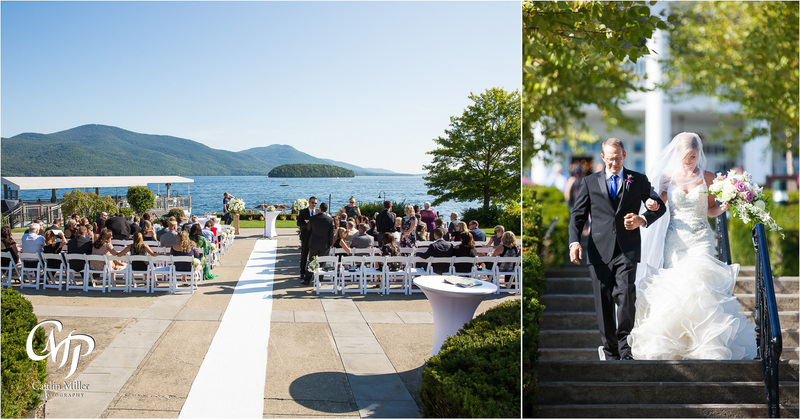 If you want a truly magical wedding on Lake George, there’s nowhere better to go than the Sagamore Resort. 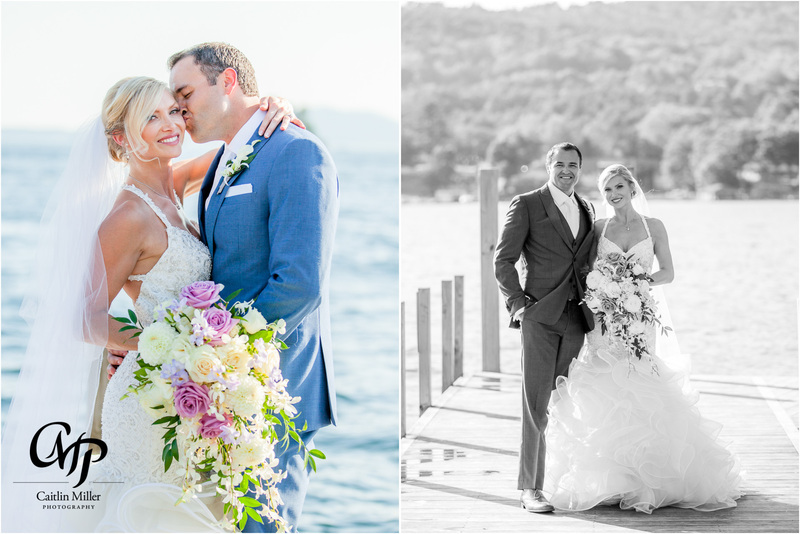 Tricia and Kevin felt the same way as they traveled from California all the way to Bolton Landing for their Sagamore wedding. 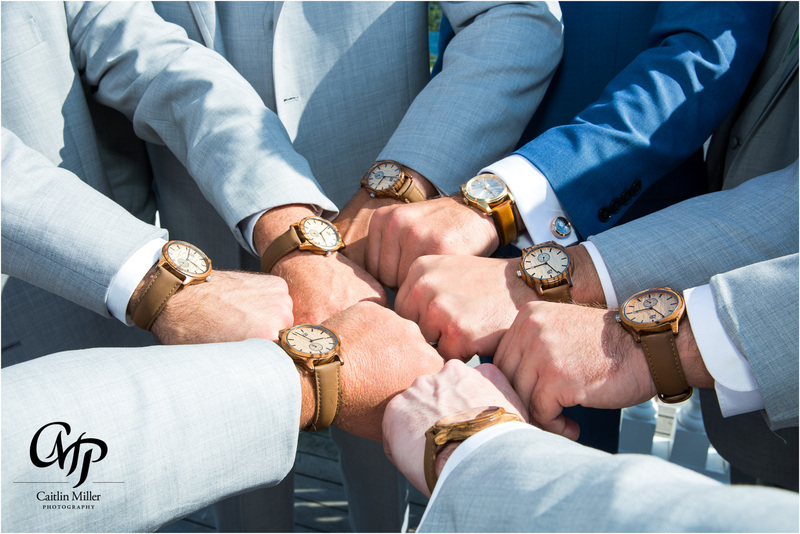 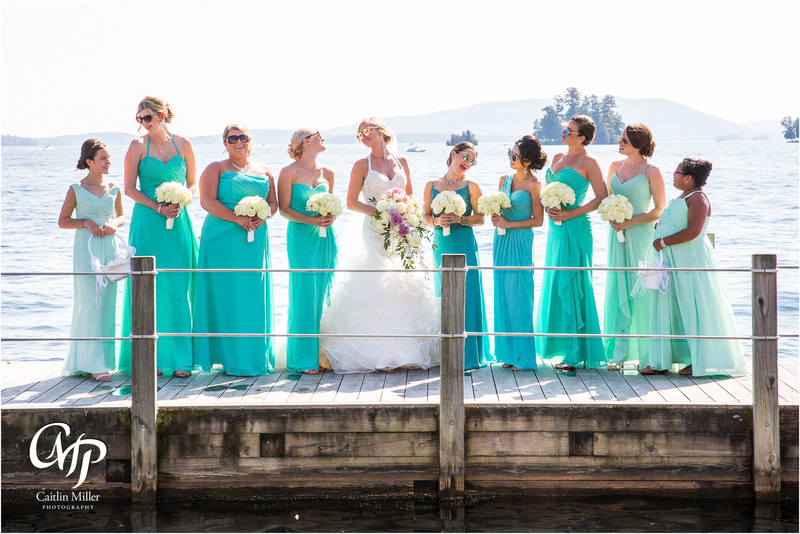 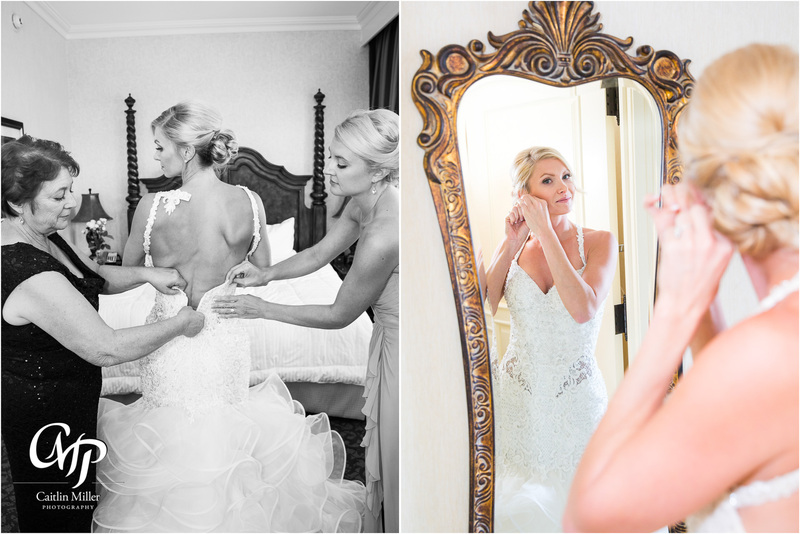 Tricia and her bridesmaids got ready in a stunning suite overlooking Lake George, while Kevin and the groomsmen took formal photos on the upper terrace. 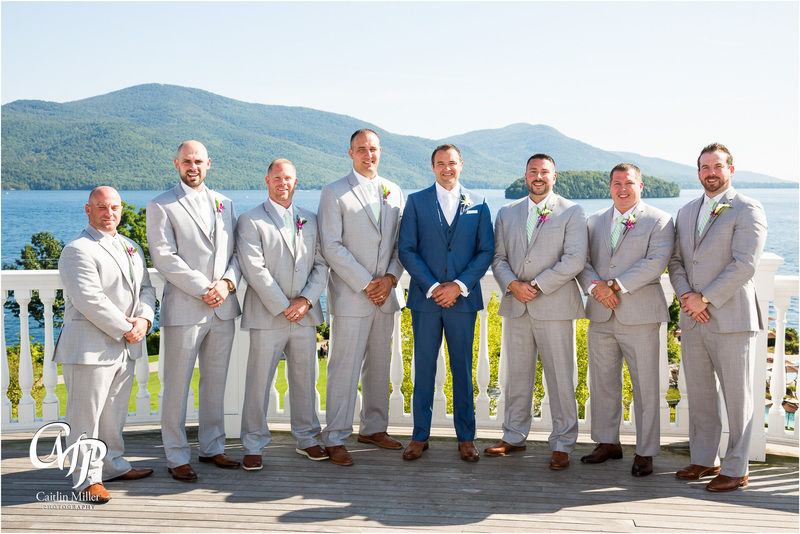 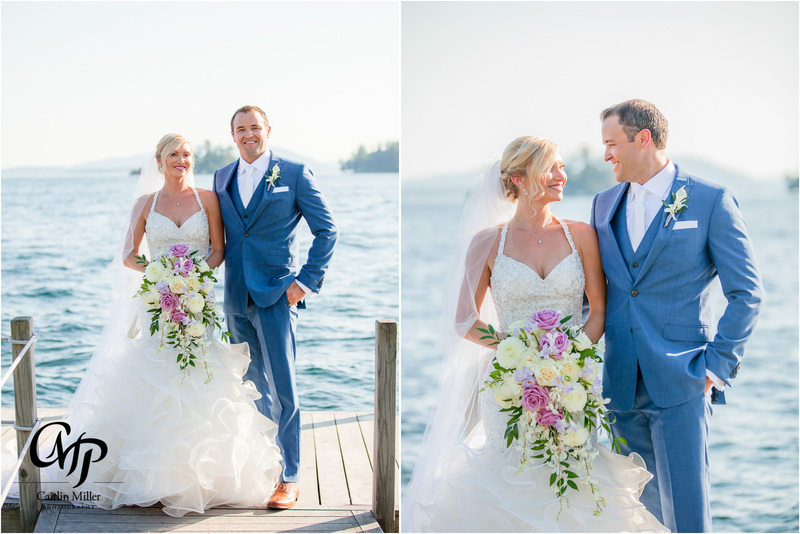 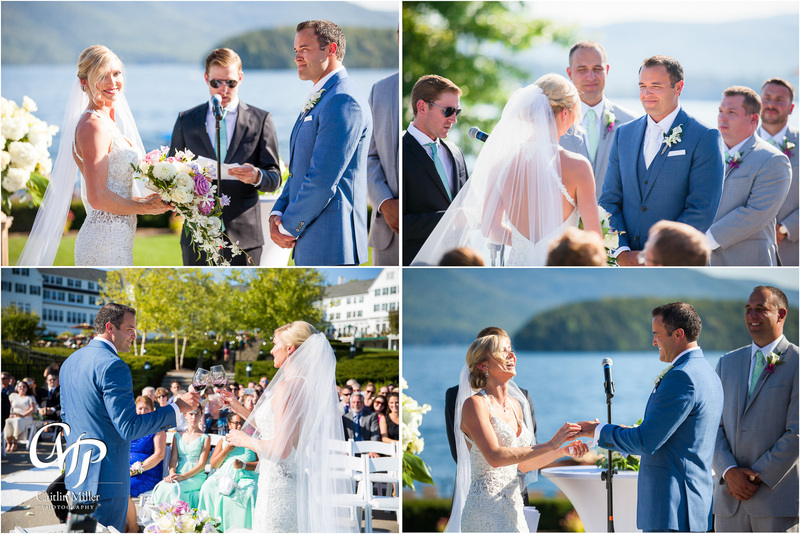 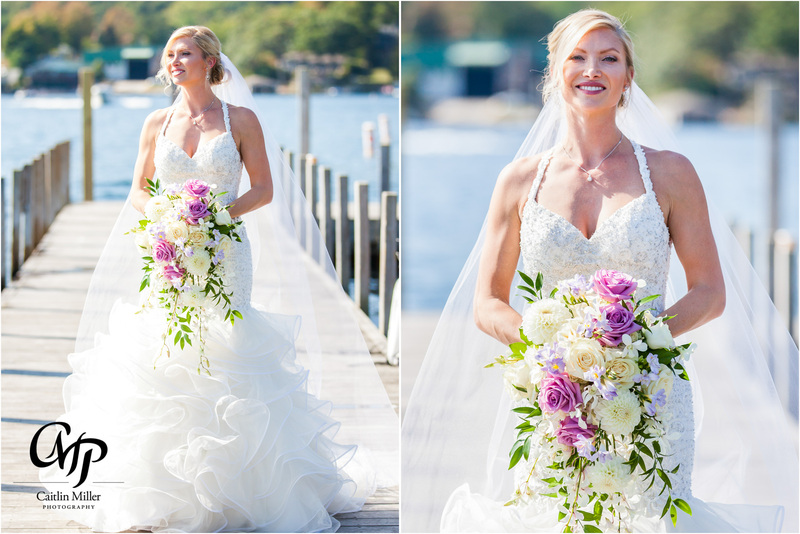 A picturesque ceremony took place on the Sagamore’s lower lawn, with panoramic views of Lake George and the Adirondack mountains. 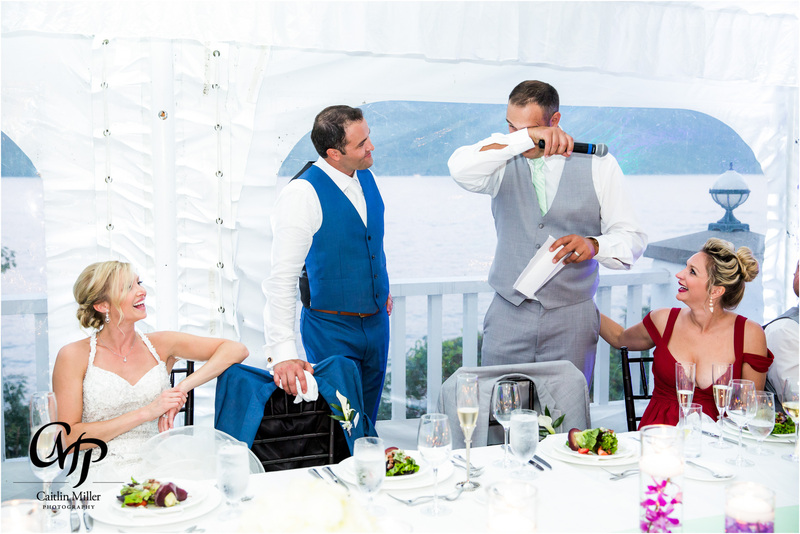 Kevin and Tricia brought a little of California with them with a wine toast during the ceremony – right before the vows. 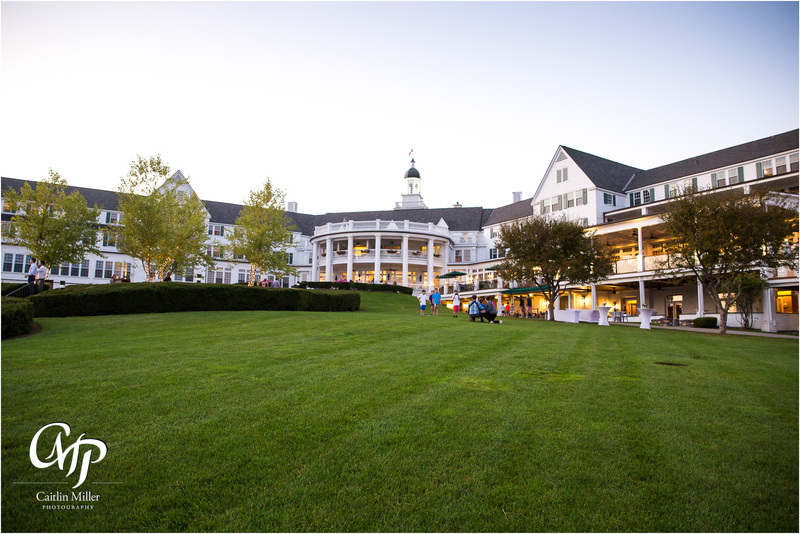 Following the nuptials, family and bridal party took photos on the Sagamore lawn before joining cocktail hour. 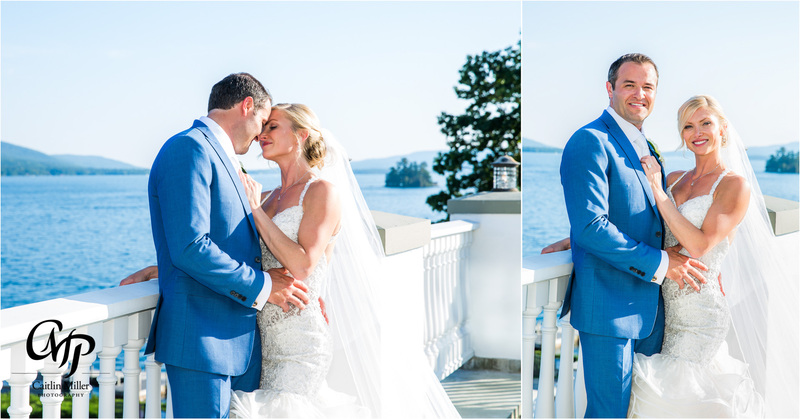 Kevin and Tricia took classic formal photos on the Sagamore Resort docks and up on the suite terrace. 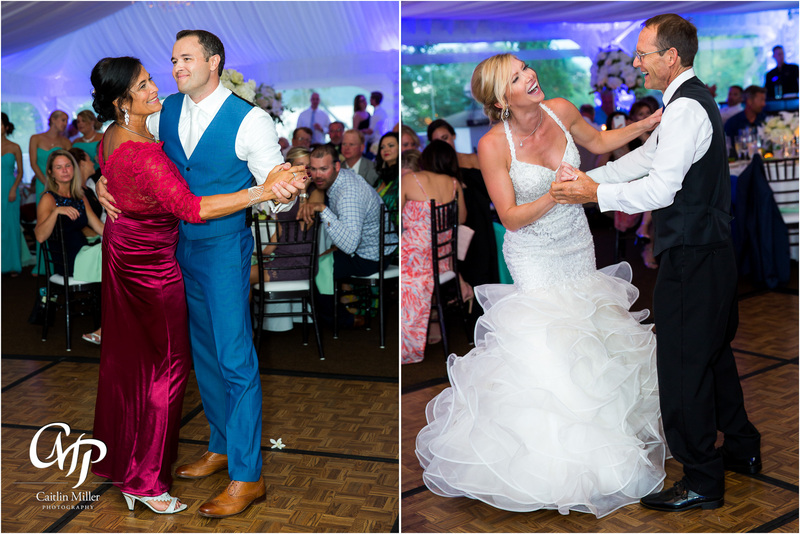 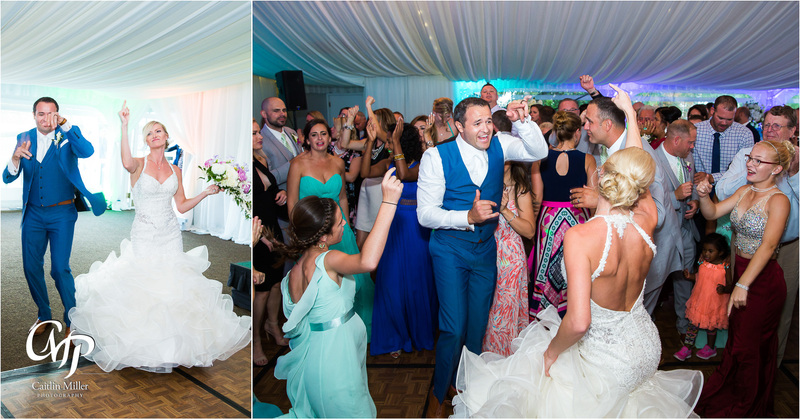 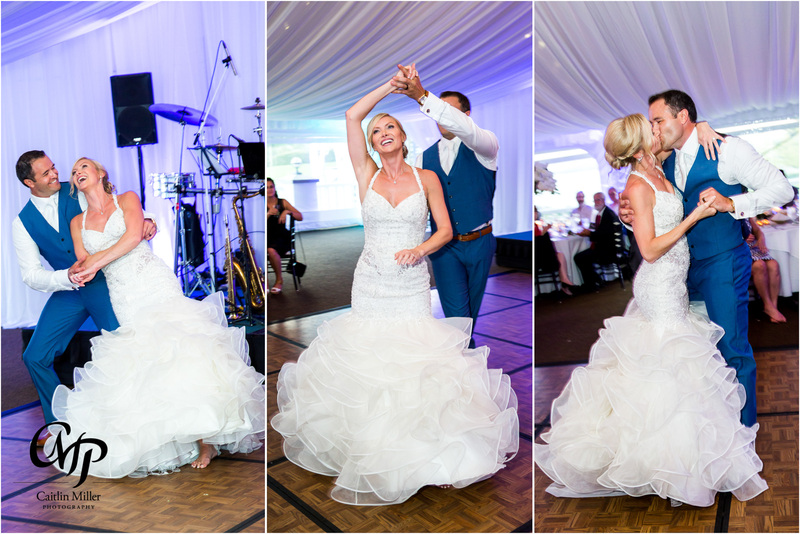 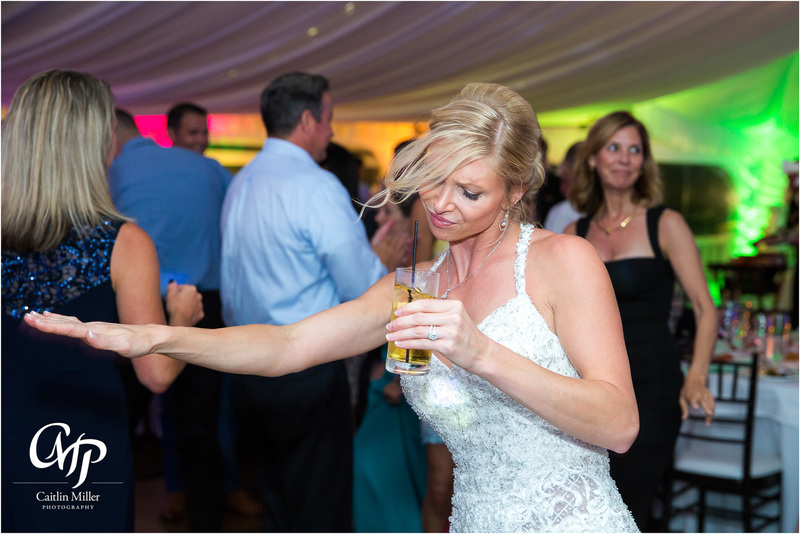 The reception started off with a huge welcome – every guest was on their feet and dancing to tunes played together by Conway Entertainment (DJ) and Fusion DL (live band). 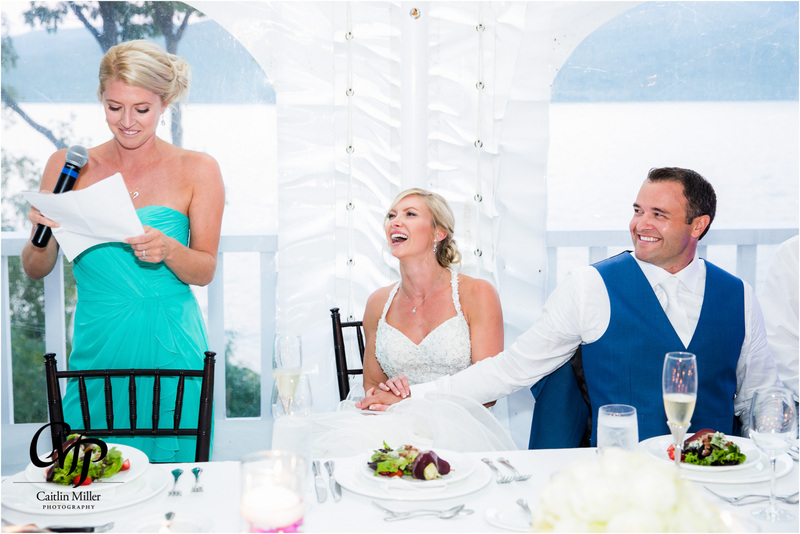 Sweet toasts and formalities followed before the party really got going in the Sagamore terrace. 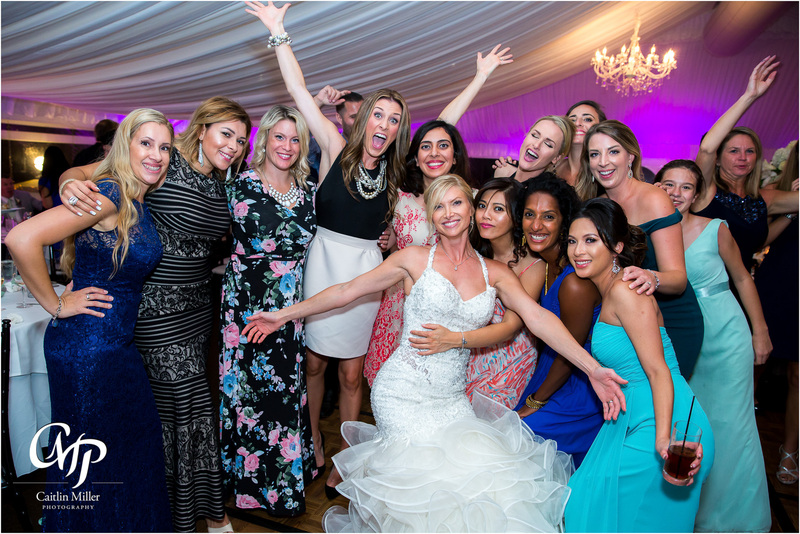 This crew really can throw a party! 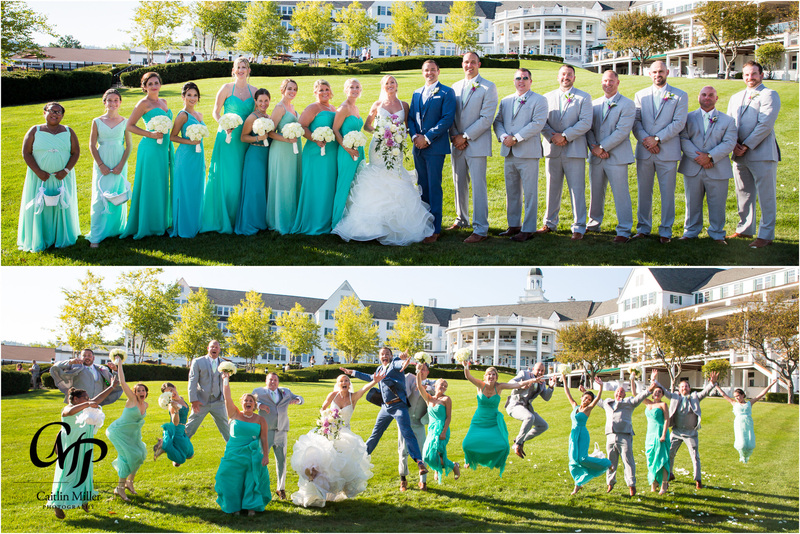 Best of luck Tricia and Kevin!